Windows OS comes pre-installed with Windows Media Player, but sometimes Windows Media Player doesn’t recognize a blank CD. The problem can occur with your disc or PC. 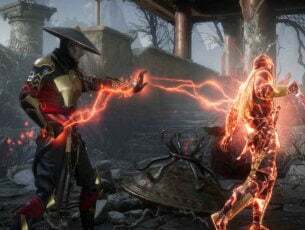 In this article, we have listed all the possible solutions to fix this problem. If Windows Media Player doesn’t recognize a blank CD, you might be able to fix that problem by changing the AutoPlay settings. Go to Settings and open Devices. Scroll down to AutoPlay tab. 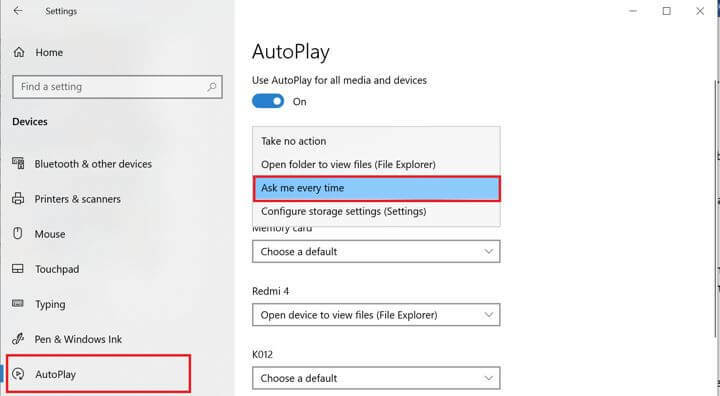 From Removable Drive, select Ask me every time from the drop-down menu. Close the Settings window. 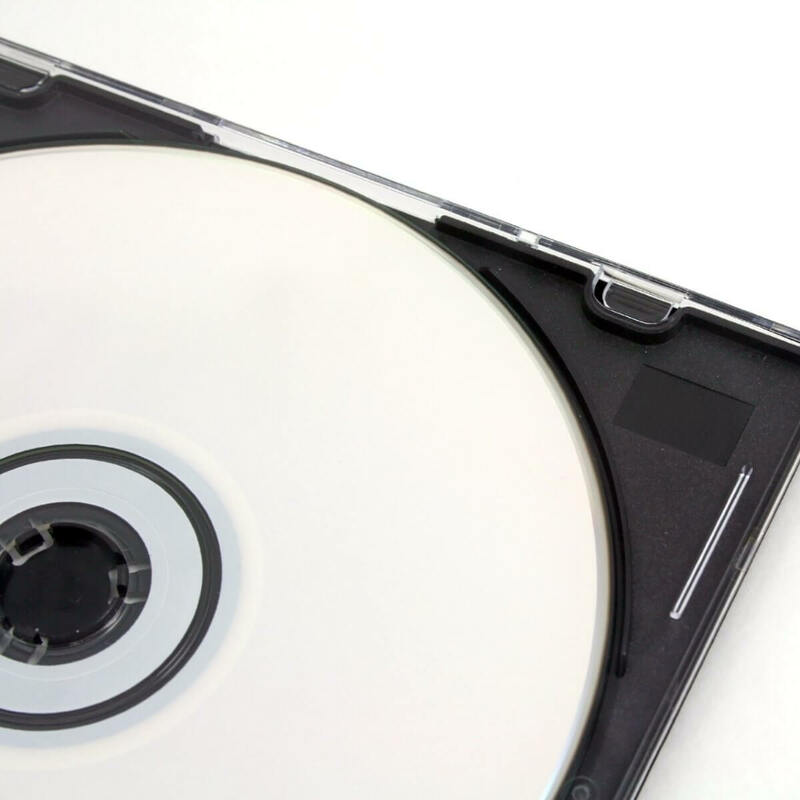 Insert the CD again and see if the player recognizes the disk. If you get the AutoPlay window, you can drag and drop any files to the CD to burn it. 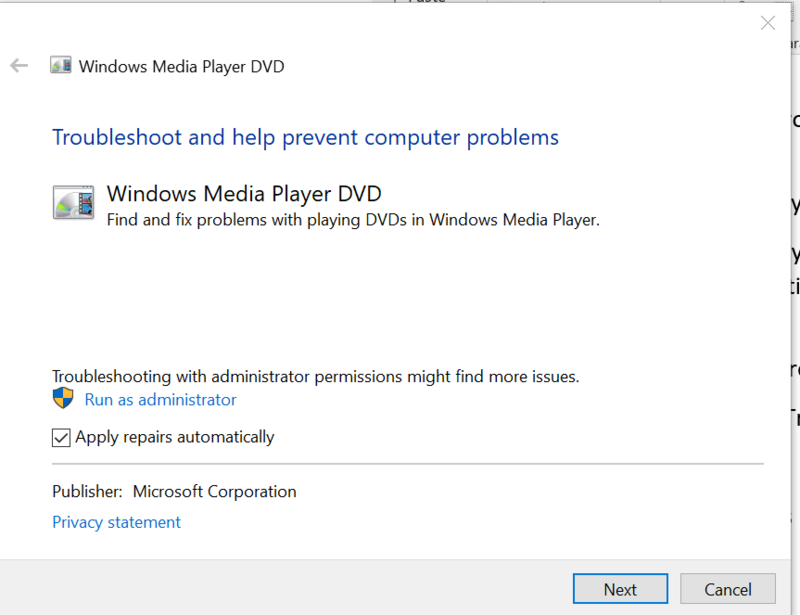 If Windows Media Player doesn’t recognize a blank CD, try running the built-in troubleshooter. 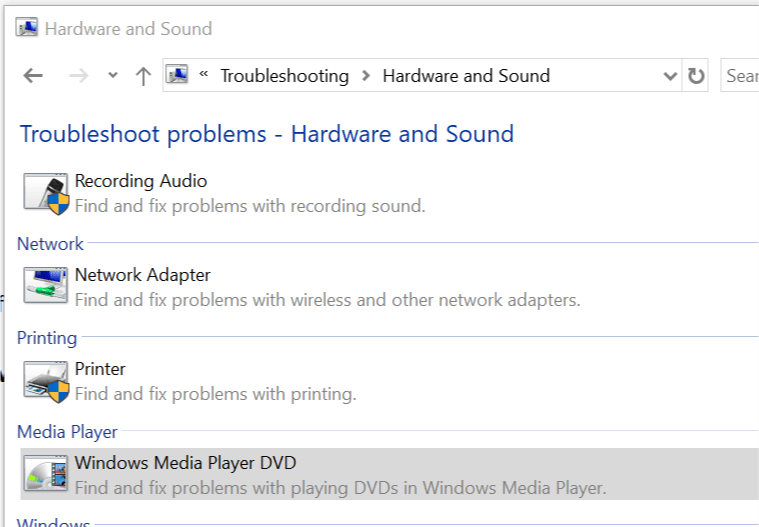 The troubleshooting section has the option to troubleshoot Windows Media Player DVD. Press Windows Key + R, type control and hit enter. This will open the Control Panel. In the Control Panel search, type Troubleshoot and click on Troubleshooting. Scroll down and click on Windows Media Player DVD. Windows will scan the PC for optical drive issues and suggest any fixes accordingly. If you get an error showing No DVD Playback device detected, the problem can be with your optical drive. 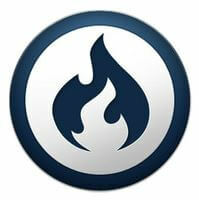 This may not be an ideal solution for those who want to use Windows Media Player as their primary burning tool. However, sometimes Windows Media Player doesn’t recognize a blank CD. Now if you are okay with using a different burning software to burn the disc, we strongly suggest that you try out Ashampoo Burning Studio Free. Type Device Manager in the Search/Cortana bar and hit Enter. 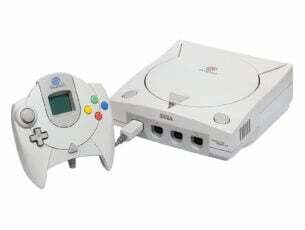 From the Device Manager, scroll-down to DVD/CD-ROM drives and expand it. Right-click on the drive and select Update Driver. Select Search automatically for updated driver software option. Wait for the Windows to search for any driver update. Windows will automatically download and install any new drivers. Restart your PC and check for any improvements. Alternatively, you can use third-party tools such as TweakBit Driver Updater to automatically update all outdated drivers on your system with just a couple clicks. If Windows Media Player doesn’t recognize a blank CD the problem might be an outdated IDE/ATAPI controller driver. Most of the time, you don’t need to update IDE/ATAPI drivers manually as it is handled by the OS automatically. However, you can try reinstalling the driver. Open Device Manager from the Cortana/Search bar. In the Device Manager, expand IDE ATA/ATAPI controllers. Right-click on Standard SATA AHCI Controller and select Update. Do this for any other SATA driver under this section. If no updates are found for this driver, right-click on the Standard SATA AHCI Controller and select Uninstall. Restart your PC. Windows will automatically reinstall the uninstalled drivers after the restart. If you have an internal or external optical drive, it is possible that your CD drive is at fault here. Now, this is the last way to resolve this problem, but if nothing works, you might want to consider the hardware failure as the cause. For external CD drive, try connecting to another PC. If it doesn’t work, you may have to send it for repair. There are some solutions that you can try if Windows Media Player doesn’t recognize a blank CD. If any of these solutions worked for you, let us know in the comment section below.